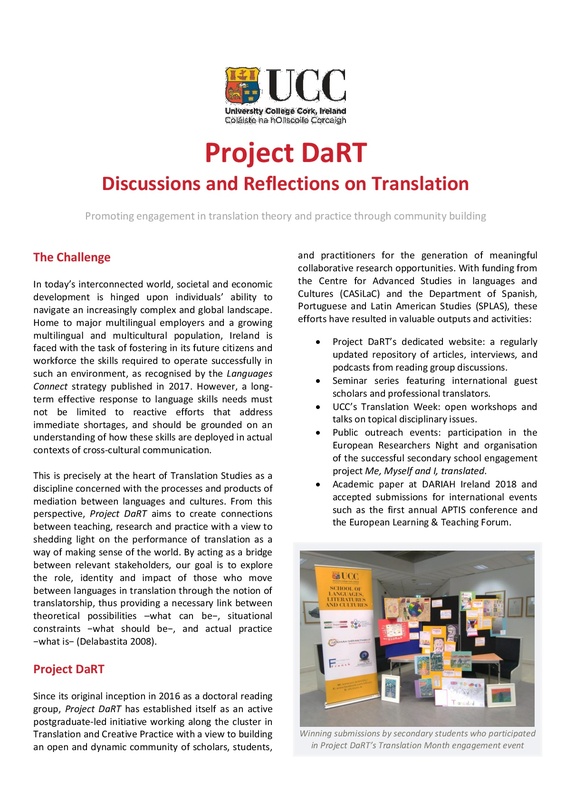 Project DaRT was established in 2016 as a reading group led by postgraduates with an interest in Translation Studies and related fields with a view to engaging collectively in translation theory. As we progressed in our development as researchers and members of the academic community, so did our activities, our engagement with undergraduate and MA students and our wider research interests and projects. 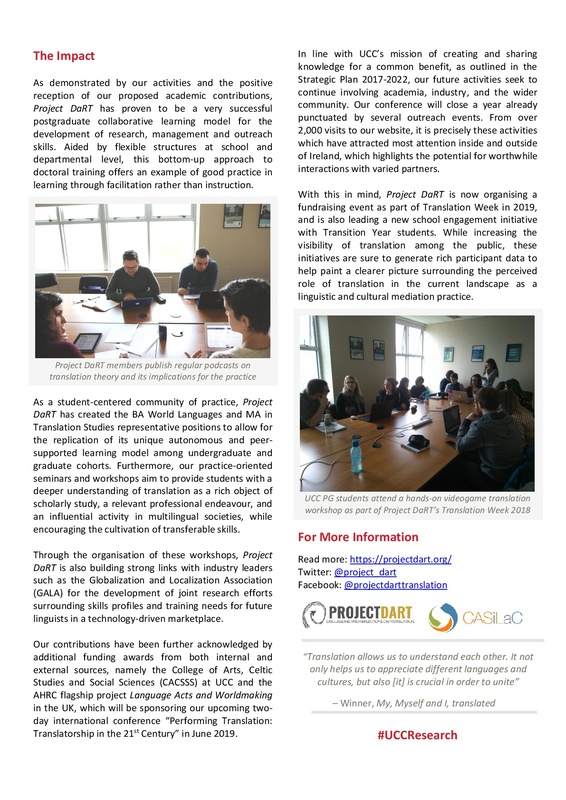 Conscious of how important it is to engage the community and create lasting impact, we decided to review our activities and participate in the Impact Case Study Narrative Prize Scheme, offered by the College of Arts, Celtic Studies and Social Sciences to ‘encourage the development and embedding of best practice in articulating the impact of CACSSS research’ (CACSS 2018). We are now delighted to publish the final version of our report, which can be accessed below, and to continue working on relevant research, engagement and outreach projects in 2018/2019.